This article first appeared in the Winter 2014 issue of Ottawa Magazine, as part of a series of stories about Ottawa’s connections to the Far North . Leslie Reid’s paintings, whether of pastoral Calumet Island or foggy Newfoundland, have always been more about emotion than landscape. 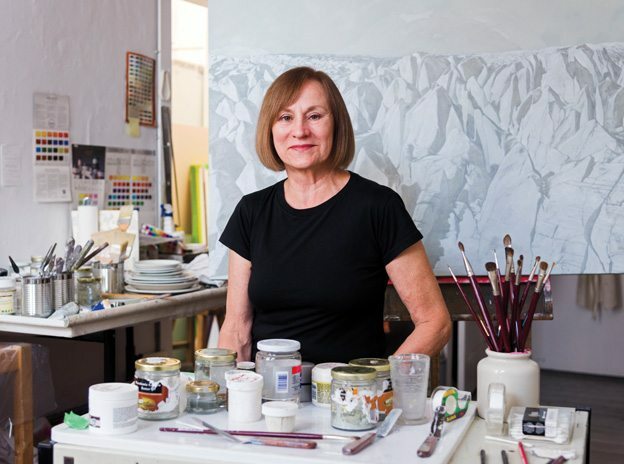 That is to say, the sense of loss or tranquility or mortality is more important than the hazy images of lakes and trees the Ottawa artist harvests from photographs. 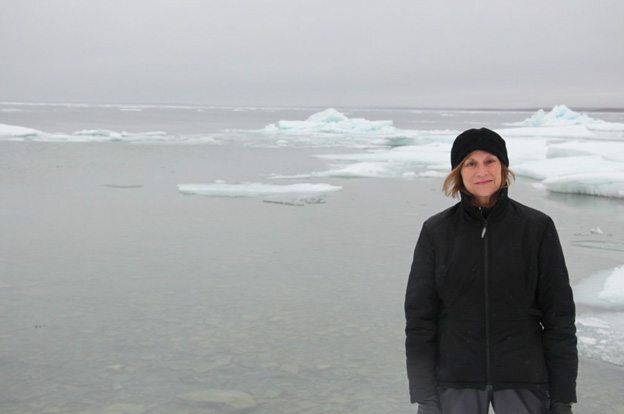 So when Reid spent nearly three weeks in August 2013 hopscotching around the Arctic with the military, the retired University of Ottawa art professor was, in essence, seeking emotions provoked by aerial views of glaciers, mountains, rivers — not to mention the effects of climate change on these landscape features — that she could put on canvas. Those Arctic scenes and emotions culled from 11,400 kilometres of air travel will form a body of work called Mapping Time for exhibitions next year in Ottawa and Montreal. Some of those emotions provoked by the North are the “psychological sensations,” to use Nemiroff’s term, derived from Reid’s appreciation of the experiences of her late father, an air force pilot. She had a “difficult” relationship with her father, who died at 44 — half a century ago, when Leslie was still a teenager — their differences unresolved.